All babies cry and have trouble settling sometimes. Understanding your baby’s signs and signals takes time. It’s okay not to have all the answers! It can be really stressful when you're trying your best but your baby is just not settling. Don’t despair! Caring for your baby when they are crying or unsettled can be exhausting – making it even harder to come up with solutions! 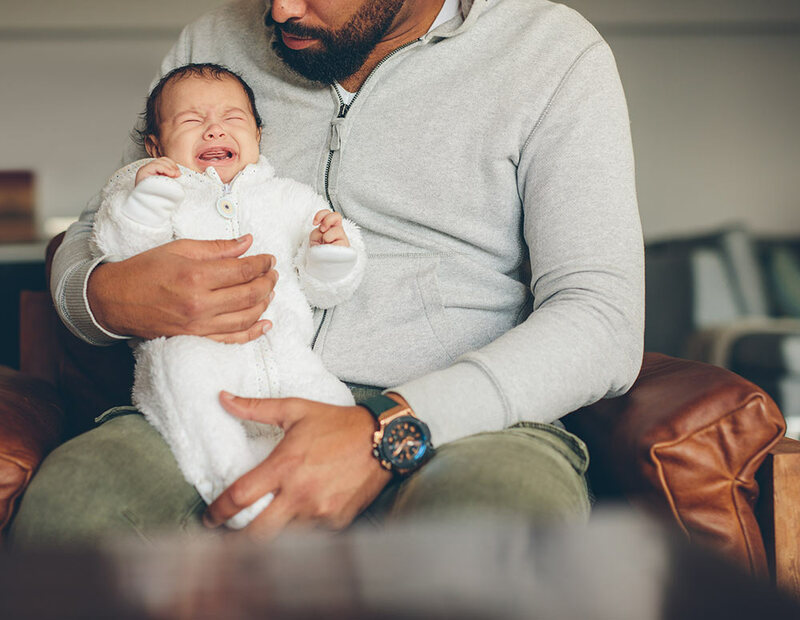 Learning more about normal baby behaviour can help you to stay on top of the stress and understand your baby’s needs when they are crying or unsettled. It can feel impossible to stay calm when caring for a crying or unsettled baby! If you don’t know how to settle your baby it might feel like you’re not doing a good job. But that’s not true! Figuring out what your baby’s needs are will come with time. Have a checklist of things you go through when they’re crying to help figure out what they need, e.g. Are they tired? Hungry? Sick? Need a nappy change? Too hot? Too cold? It’s challenging to keep trying to understand your baby’s needs when they are persistently crying or unsettled. If you need some extra support to help you to cope, give us a call on 1300 30 1300 (QLD & NT) and speak to one of our trained counsellors.